The poet and critic Mark Halliday, who has written several good, important essays on Kenneth Koch in the past, has a new essay in the Summer 2014 issue of Pleaides, which was posted by Poetry Daily a couple days ago as one of their prose features. In this essay, Halliday focuses on Koch’s profound commitment to the sheer fun and pleasure of poetry — reading it, yes, but especially the joy involved in being a person who writes it. 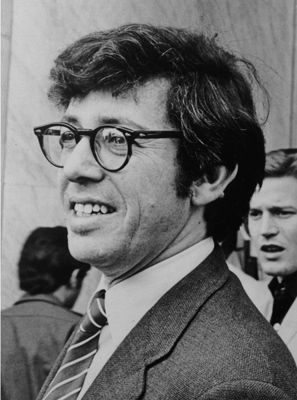 Perhaps no important poet has more consistently acknowledged the manifold pleasures of the vocation than Kenneth Koch (1925-2002). Throughout his amazingly, indeed almost bizarrely various poetry, we can always hear Koch’s charismatic voice urging us not to deny the fun in poetry—the fun in writing it, reading it, arguing about it, daydreaming about it, knowing it is in the world. This aliveness to the pleasure of being alive poetically was something Koch shared with his friend Frank O’Hara (1926-1966). In a 1995 interview with Jordan Davis, Koch said: “I love the quality in Frank’s work that makes its message always that life is so rich, so full of variety and excitement that one would be crazy to think that anything else was the theme and crazier not to participate in it as much as one could.” O’Hara, though, died at the age of forty, having already written some poems in which melancholy yearning undermines the ebullience; Koch lived on through another three and a half decades of middle age and early old age, decades in which the splendidness of being young and brilliant naturally tends to give way to other truths of disappointment, regret and loss. Thanks to Koch’s honesty, that concession is a crucial part of the story presented by his work across the years. However, what never disappears from his poetry is the palpable and contagious feeling that to be a poet is great luck. The poet’s vocation often induces anxiety, yes, but the anxiety is part of an adventure not to be missed. To illustrate this vocational happiness in Koch’s work, countless examples could be offered; I’ll look mainly at passages from four poems representing different phases of Koch’s long career. My hope is to evoke a profound healthiness that flows through his oeuvre and invites other poets to acknowledge their own vocational good fortune and take heart. Halliday goes on to trace and analyze this theme in “A Time Zone,” “The Pleasures of Peace,” “Days and Nights,” and “The Artist.” Check out the whole essay here. This entry was posted in Articles, Criticism, Kenneth Koch, Mark Halliday, Uncategorized. Bookmark the permalink.